Charming 1 bedroom apartment on ground floor of Edwardian terrace house. Comfortable home with front courtyard and small rear garden. Large separate living and dining, feels more like a house. Period features, polished timber floorboards and modern fully equiped stainless steel kitchen with gas cooktop. Living room includes TV, DVD, CD player, radio and gas heating. Queen size bed. Built-in robe. Laundry facilities include washing machine and clothesline. Separate entrance to tenants living upstairs. Friendly and helpful longterm tenant living upstairs. 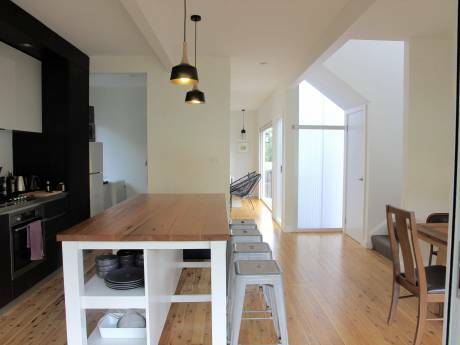 Located in quite, leafy area close to arthouse cinemas, galleries, markets and cafes of historic Paddington. Public bus transport to City and Bondi Beach located nearby on Oxford St. 5 minute walk to local supermarket, grocer, butcher and bottleshop. 10 minute walk to Sydney CBD, Hyde Park, Fox Studios, SCG and Centennial Park. Excellent range of local restaurants and pubs of Paddington, Surry Hills and Darlinghurst offering great food at reasonable prices are 5 minutes away. 2 minute walk to Verona, Academy Twin and Chauvel cinemas and landmark bookstores Ariel and Berkelouw. Across the road from the College of Fine Arts and associated galleries, a short walk to the National Art School and numerous commercial galleries. Corner cafe 6 doors away serves great coffee and is popular meeting spot for local residents and art students. We are a married couple in our late 30's and 40's with no children. Simon is a scenic artist and works in the film industry. Sarah is an architect and project manager who works on commercial projects in the city. 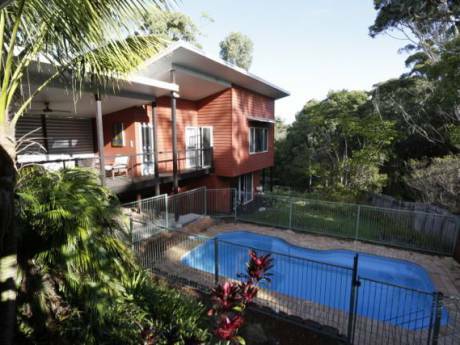 We often spend weekends at our holiday house on the NSW North Coast. We also enjoy dining out, listening to live jazz, going to the movies and visiting the NSW art gallery.